Nestled into a beautiful turquoise bay right in the heart of the Turkish Riviera is the pretty town of Göcek. Just a 20 minutes drive from Dalaman International Airport and 25 minutes from the popular boutique town of Fethiye, it’s a small and sophisticated resort backed by mountains and famed for its 12 islands. Boasting first class marinas, stunning scenery and a wide variety of luxury apartments and sea view villas for sale, if you have a healthy budget and you’re after a high-end property in one of Turkey’s most sought after locations, Göcek may well be for you! Television presenter Michael Buerk once described Göcek as “a sailor’s paradise”. As a keen yachtsman and regular visitor to the port, in an interview with the Telegraph he likened the town to Salcombe and noted it as an upmarket destination that hadn’t yet been destroyed by developers. 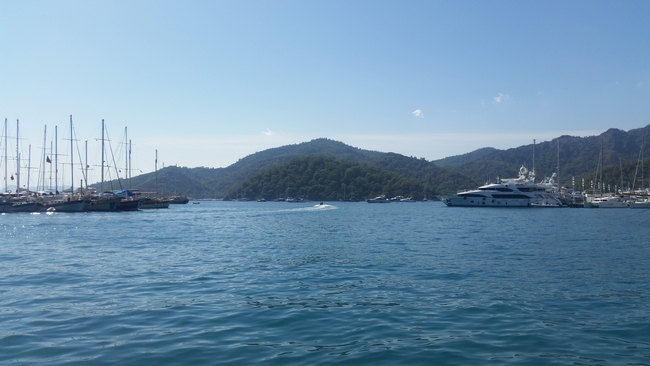 The likes of Roman Abramovich, Demi Moore, Beyonce, Madonna and Prince Charles are also no strangers to Göcek. 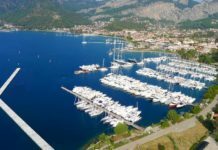 In fact, jet-setters and celebrities are often spotted either browsing the local boutiques, sunning themselves on their fancy mega-yachts or enjoying a glass of bubbly in the Göcek bay. In ancient times Göcek was known as “Kalimche”. If legend is to be believed, it was here that Icarus plummeted to the sea after his famous flight. It is an area of the Turkish coast filled with myth and mystery. The legend goes that Göcek was once populated by pirates and then the stomping ground for Ottoman chrome traders. It is only over the past thirty years that Göcek really started to become the sophisticated resort it is today. 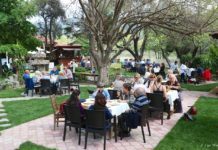 Now, each summer Göcek is a hive of activity. The bay, centered around the harbour side, becomes filled with affluent Turks who have chosen to buy their holiday homes in the area or Arabs on a day out from their secluded luxury property in the Göcek hills. During the day you see the foreigners popping into town for their bistro brunches before heading back to their seafront homes, or see the smartly dressed crew of one of the super-yachts as they stock up on food and beverages to take back to their business tycoon or celebrity bosses. Göcek is a place to enjoy the finer things in life, but equally makes a great location for a day trip out, a port side lunch, or a lazy day Bond-style yacht-spotting. 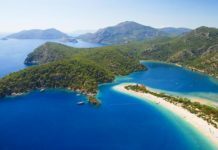 Why a property in Göcek? There are many reasons to consider buying a property in Göcek. For starters, it’s easy to access with Dalaman Airport just a few minutes’ drive away. The climate is also hard to beat averaging over 280 sunny days per year. The port itself is charming, it’s not your average sprawling tourist resort and you will find no high rise hotels or sky-scraper condos here – no, Göcek is far more sophisticated, far more refined. The town itself isn’t large, in fact it’s small with just a few restaurants serving Turkish and international cuisine, some beautiful boutiques, a few coffee shops, and a weekly market. There is no main beach, but what it does offer are fancy beach clubs and a plethora of bays and islands all easily accessed by boat. 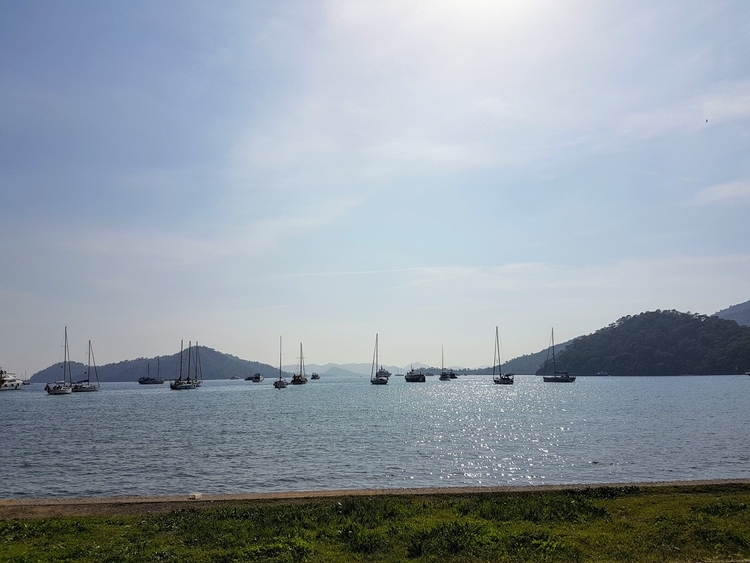 If you are lucky enough to own a little bob-about, there are some wonderful villas for sale in Göcek with moorings for a dinghy, failing that, many luxury apartments for sale within easy access to the marina where boats can be hired privately or daily boat trips can easily be arranged. Göcek will appeal to those that want an escape yet like to have first-class facilities at hand. Building land is limited and the build allowance strictly regulated therefore prices of property in Göcek tend to rise consistently. Göcek is a good investment so given this you may assume property prices would be way over the odds, but that’s not necessarily the case. 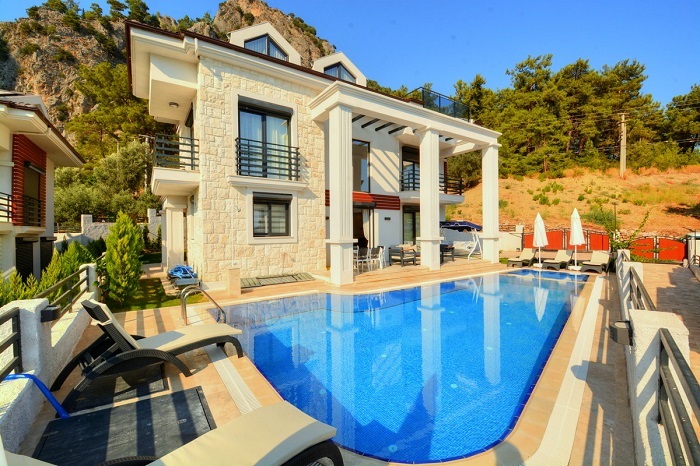 Although Göcek is traditionally more expensive than some parts of the coast, bargain apartments in Göcek can still be picked up for less than £100,000, villas in Göcek for less than £200,000. Of course, there are the luxury builds, the high end and high-spec properties with price tags from £350,000 to well over £1 million, but whatever your budget, if you are seeking a great location and a fabulous investment, or simply fancy mixing with the stars, Göcek is certainly a resort to consider. For more information on property in Göcek or luxury property in Turkey, please contact Turkey Homes. Alternatively you can click on the Turkey Homes advertisement in the sidebar on the right of this page. This is a sponsored advertorial in association with Turkey Homes and was published with kind permission of Turkey Homes owner, Tolga Ertukel.